Earlier this month, fans of Champions Online and Star Trek Online got a bit of a shock when Atari announced that it was was selling the developer behind those games, Cryptic Studios. Apparently it didn't take long to find a buyer for the studio, as Chinese MMO operator Perfect World has bought the developer. Perfect World is paying for €35 million ( $50.3 million) in cash for Cryptic. The company is well-known in Asia for its MMOs like Perfect World, Battle of the Immortals, and Dragon Excalibur. On top of that, this is the same company that purchased a majority share in Runic Games back in 2009. According to Michael Chi, Perfect World's CEO: "This strategic acquisition will add attractive game titles to our portfolio, which will help us further penetrate into the US and global online game markets. More importantly, Cryptic Studios' highly reputable development team and its technology platform will further strengthen our well established R&D capabilities." 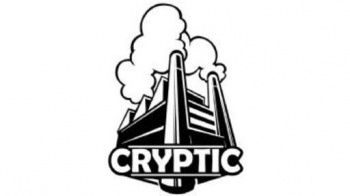 What will be interesting to see is what kind of projects Cryptic starts working on for its new corporate parent. So far, Perfect World's appeared fairly hands-off with Runic Games, so it doesn't seem unreasonable to assume that Cryptic will receive similar treatment.